Soto Nusantara lovers have many flavor choices from various parts of Indonesia. 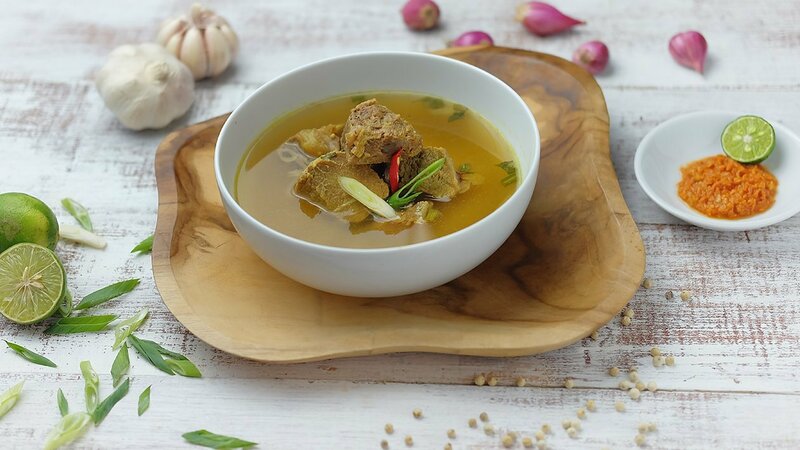 Soto Madura with stuffed beef meat and offal will be a special choice of taste lovers. Boil all the ingredients until half-cooked, then drain. Grinded all ingredients then stir-fry and put in a meat stew. Let stand with low heat until cooked. Rinse the rice with cooked beef soto.